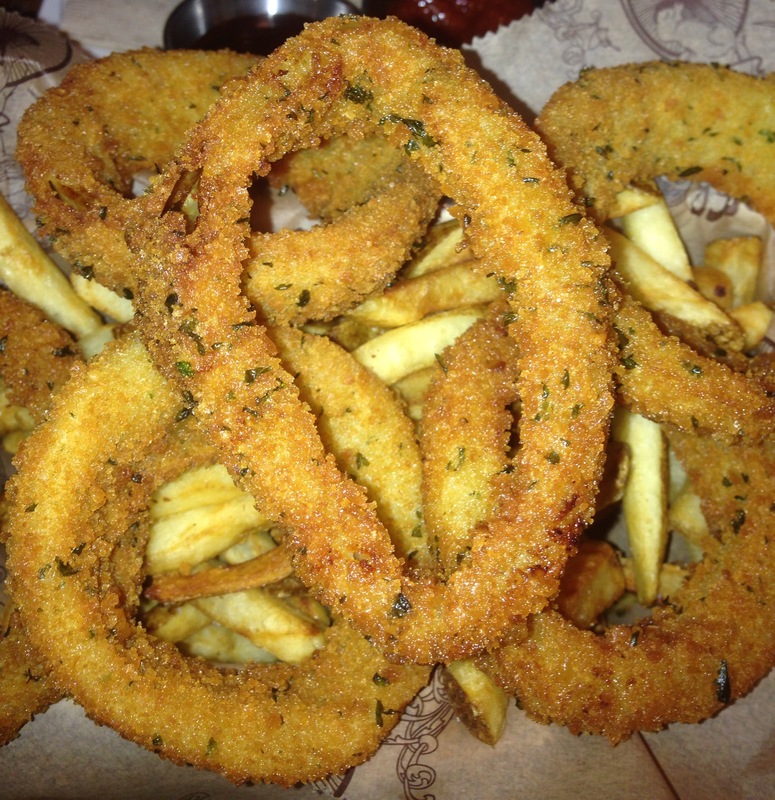 Bareburger Onion Rings | That Yum Factor! At Bareburger, what’s great is that they have so many options. You can get the larger basket order of onion rings plus fries (or sweet fries) that comes with several of their dipping sauces (my faves are the habanero mayo, special sauce, buttermilk ranch, and I have never tasted the buffalo but you can’t go wrong with buffalo AND ranch.) If you and your friend are not too hungry and just want to taste it, the side of rings and fries is just as filling. It doesn’t come with the dipping sauces (they cost around 50 or 55 cents each) but you might as well get one or two to try it out. Posted in Hudson County - NJ, Image format and tagged Hoboken on September 11, 2014 by thatyumfactor.